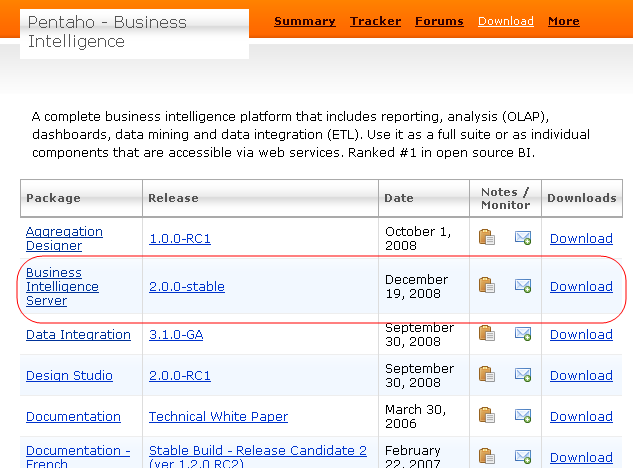 As of 28 December 2008, BI Server had released version 2.0 stable branch. 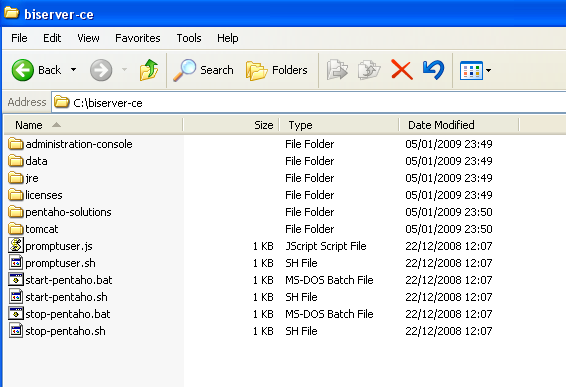 This article will guide you step by step to install and configure this version in your Windows XP box. Sun JDK (Optional). 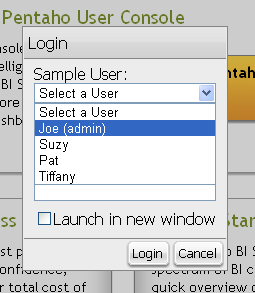 If you run trouble running BI-Server see this article. 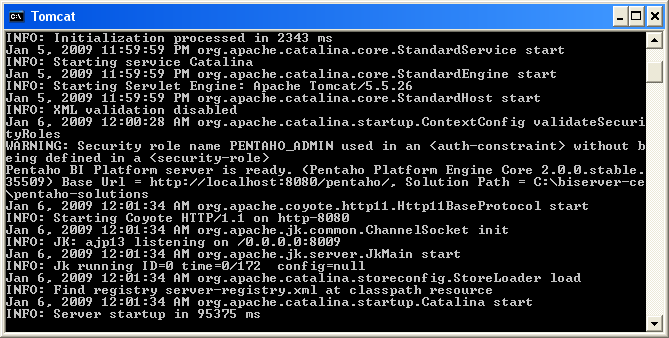 Open your browser and navigate to http://localhost:8080/pentaho. You will see a welcome screen like below.